What's Your Caribbean Cruise Story? 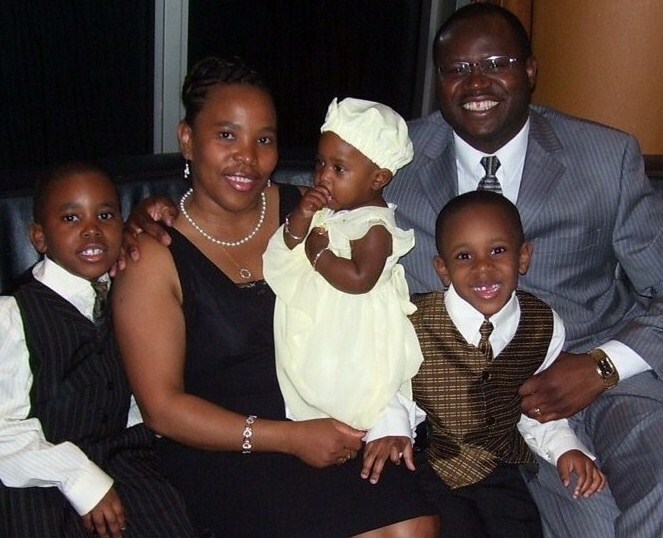 My Family On Formal Night On Carnival Glory 2007 - 2nd Cruise! My Caribbean cruise story is one of sheer fun and delight. If you have read some of the pages of this website you would have heard tid-bits about my family's Caribbean cruise experiences. I have shared that on our first cruise cruise vacation - a Western Caribbean itinerary aboard Carnival Sensation, we were surprised by the mandatory cruise gratuity at the end. Yet, we enjoyed every bit of it and did not want to leave the ship upon its return to the Tampa Port. We vowed that from then on we would only take 7-day Caribbean cruises. While the next two cruises were seven (7) days long - one an Eastern Caribbean cruise, and the other a Western Caribbean cruise, we have not really kept our vow. To date, we have taken one 4 day Caribbean cruise, and four 5-day Western Caribbean cruises. We have quite a few cruise stories to share and I have done so over some of these webpages. Fortunately for my family, each Caribbean cruise sailing was free from unpleasant events. 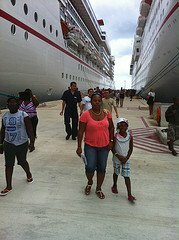 Except for losing our digital camera in St. Thomas, USVI, and being disappointed with the dilapidated condition of the roads in Belize City, Belize and Samana, Dominican Republic, we have enjoyed every bit our cruise experiences with four separate Caribbean cruise lines, aboard ten (10) different cruise liners. 3. We have been to places such as Nassau, Bahamas; Coco Cay, Bahamas; Grand Cayman, Cayman Islands; Cozumel, Mexico; Costa Maya, Mexico; Belize City, Belize; Samana, Dominican Republic; St. Thomas, USVI; Tortola, BVI; San Juan, Puerto Rico; St. Martin/Maarten; St. Lucia; St. Kitts; Barbados; and Grand Turk, Turks & Caicos Islands. See our Eastern Caribbean Cruise Photos. See our Western Caribbean Cruise Photos. What about your Cruise Story? Unfortunately for some people, their cruise experiences have not been pleasant. We have a friend who was aboard a Western Caribbean cruise during Hurricane Katrina. And there is another friend who took her first inclusive Caribbean cruise two years ago, but was not really excited about the experience. Now, Let Us Hear Your Cruise Story. If you have taken just one cruise, please share it with the rest of us. Were you as dazzled as we were? Did you get hooked like we did? Will you go back? 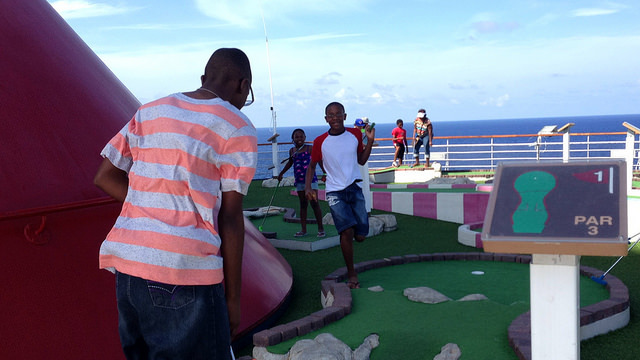 Have you discovered how great an inclusive Caribbean cruise is as a family vacation and now that is all your family does? That's pretty much our story. No other vacation comes close to our Caribbean cruise getaways! Ah, so you are about to experience your first Caribbean cruise. Tell us where you are going - Eastern Caribbean, Western Caribbean, the Bahamas, or on a Disney cruise vacation. 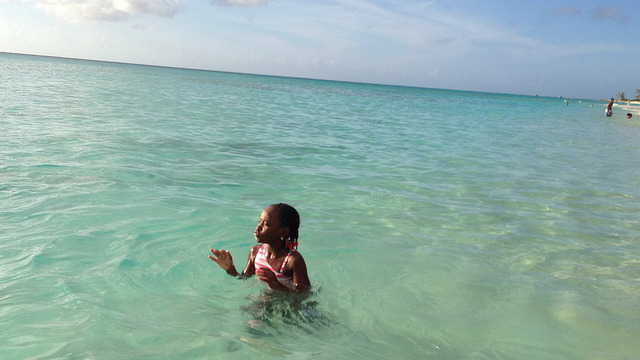 How did your family make the decision to take a Caribbean cruise vacation? 4. Caribbean Cruise Story - Dreaming of a Caribbean Cruise! The dreamer! Well, you are having a great dream, my friend! Tell us what may be hindering you from taking a cruise now, and ask us any questions you may have about Caribbean cruises. Whatever it is - wherever you are in terms of cruising to the Caribbean - I hope you will share your Caribbean cruise story with the world. What is Your Caribbean Cruise Story? 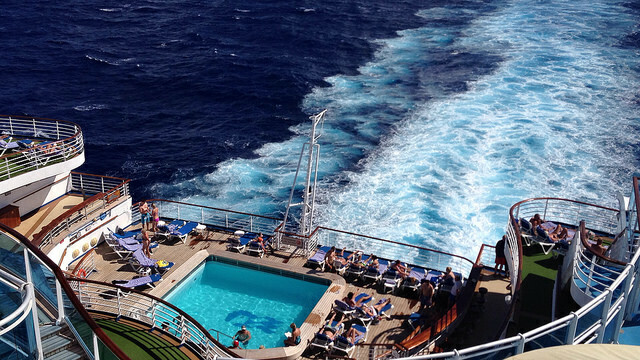 Do you have a "Great" or "Unpleasant" Caribbean cruise story? Share it! Once again, thank you for taking time out of your busy schedule to read this page and to share. Your cruise story will help another family planning to take its first cruise ship vacation to the Caribbean.